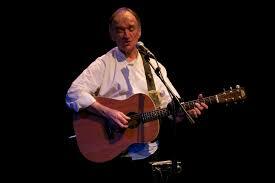 Martin Carthy is remembering how he fell in love with Heartbreak Hotel and learned to sing it, complete with Elvis Presley-style ah-huhs. In his memory Heartbreak Hotel was one of three pop records this great stalwart of English traditional folksong bought on the same day as a teenager in the 1950s. The others were Rock Around the Clock by Bill Haley & the Comets and Rock Island Line by Lonnie Donegan. The journey that Lonnie Donegan sent Carthy off on took him into the blues of Big Broonzy and the guitar picking of Elizabeth Cotten, author of the folk standard Freight Train. After taking on his first jobs – he was a prompter at the Open Air Theatre in London before working as assistant stage manager on a tour of the Merry Widow – he began to develop a way of accompanying traditional songs using the finger-picking techniques he’d learned at a time when accompaniment was frowned upon. Soon he was being encouraged by the singers he learned these songs from – characters including the Shropshire farm worker and tradition bearer Fred Jordan – and his arrangements became an influence on visiting American singers. Paul Simon famously appropriated Carthy’s version of Scarborough Fair and Bob Dylan credits Carthy’s treatment of Lark Franklin as facilitating Bob Dylan’s Dream. All water under a bridge now in a career that has seen Carthy forming one of the great folk duos with fiddler Dave Swarbrick, briefly plug in a Telecaster with Steeleye Span, join the Albion Country Dance Band, form Brass Monkey and Band of Hope and create the Waterson: Carthy dynasty with his wife, Norma Waterson and daughter, Eliza Carthy. Carthy’s classic album, Shearwater, recorded just after he left Steeleye Span and was concentrating again on acoustic guitar, included one of the Scottish songs he’d learned and Anglicised, the Perthshire ballad Betsy Bell and Mary Gray. Over the years Carthy has fallen prey to the music industry’s need for artists to record albums regularly and promote them, often to the exclusion of songs from previous recordings that become discarded.